A storm is expected to impact Metro Boston. For safety concern, we will cancel the Dharma Talk tomorrow morning. Keep warm! We welcome you and your family to join us at the temple. Increasingly we are hearing about the disasters caused by climate change around us. 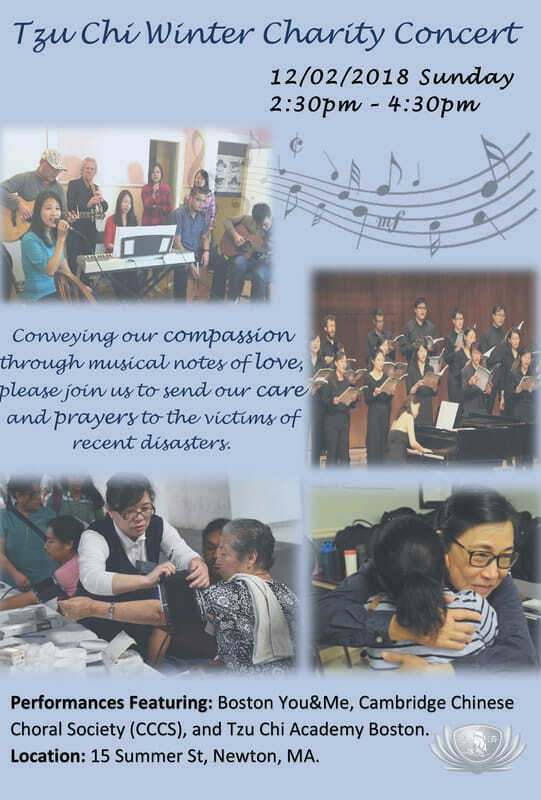 we want to gather everyone's love to send relief and well-wishes to those in suffering. We sincerely invite you to join us in sharing your love in a cycle of hope and kindness as we pray for world of peace and harmony. Please invite all your friends and family to join us! We hope to see you there. Have a wonderful Thanksgiving holiday season. 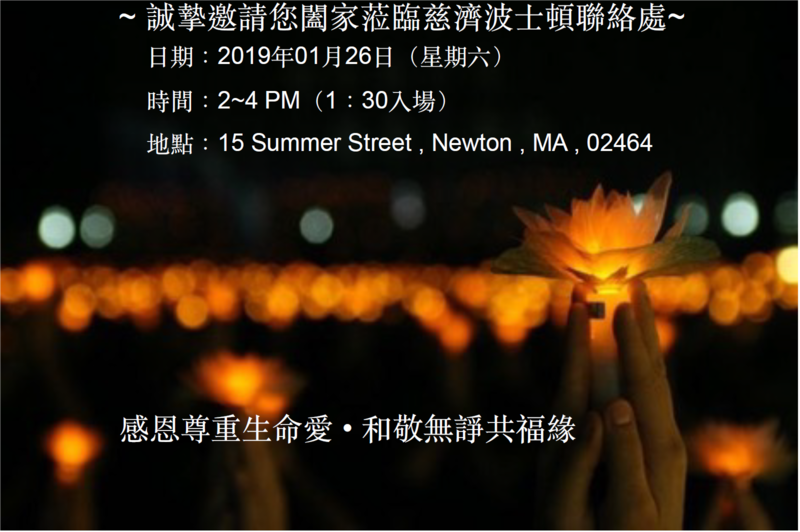 Fo Guang Buddhist Temple Boston has invited Venerable Master Hsin Ting to Boston on 9/13/2018 to give a Public Talk on "The Buddhist DNA: Traces of Your Spirituality". Venerable Hsin Ting : "The Buddhist DNA: Traces of Your Spirituality". - The Abbot of Tai Hua Temple in Bangkok, Thailand. - Graduated from the Eastern Buddhist College and the India Research Institute of the Chinese Cultural University. 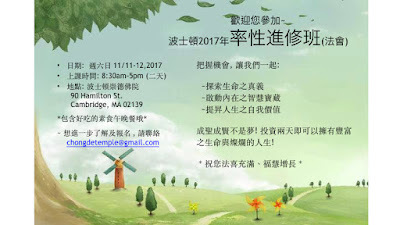 - Writing : "Meditaion of Wisdom", "Emotion Management"
每個星期天早上10 am 都會有共修法會， 特別法會或活動都會列在這裏。Any special functions or activities will be updated here, otherwise we have regular Dharma Service Every Sunday at 10am. 除非另有声明, 班都以中英文进行。報名或詢問請 email: boston@ibps.org 或致電 (617) 547-6670. All classes are conducted in English and Chinese unless stated otherwise. Please email boston@ibps.org or call (617) 547-6670 to register/inquiry. In order to best support everyone's unique path of Tao cultivation, we will be changing a new way to keep building connections with those who are interested in studying the Tao and deepening living with True Nature. So we will no longer sending out mass emails every week and instead, we will be inviting people to different levels of Tao study courses, in English and in Chinese. If you are interested in attending to any of the Tao study courses, please reply this email to let us know and we are happy to share with you details about the courses!!! Best wishes to all of you! 波士頓崇德文教基金會 Boston Chong De Cultural and Educational Inc.
1. Making sweet sticky rice balls! This Saturday 4:30-6pm. Come use your hands to make these classic Chinese dessert from scratch! No experience necessary. Please RSVP by Friday 2/23 to ensure we have enough materials for everyone!!! 2. Semi-monthly Ceremony next Thu 3/1, 6:30-8pm. Please join us for the ancient sacred ceremony to clear our mind, strengthen our spirit, reflect our challenges, and cultivate True Nature! Offerings to the ceremony are welcomed. 1. 星期六2/24, 4:30-6pm包湯圓, 歡迎大家來學習如何親手做湯圓, 請於週五2/23前回覆參加人數, 以便準備足夠食材. 感恩! 2. 下星期四3/1是農曆正月十五的前一晚, 佛堂會於6:30-8pm進行初一十五獻供禮. 歡迎各位前賢能回佛堂參學獻供禮節, 真誠禮敬仙佛慈悲, 接受佛光普照, 並從中回心內省, 以涵養自身佛性. 如欲獲得更多資訊或報名, 煩請聯絡 Ming (617-223-7021). 期待能見到大家一同參與此天地人共辦之殊勝機緣!! Happy Chinese New Year! Those of us who attended last night's new year's eve ceremony wish serenity, clarity, inspiration and creativity are filling your day everyday in the year of the dog! As we celebrate this festive occasion, we will have a break this Saturday 2/17 and no lecture/activity will take place at the temple. Have a restful long weekend and see you next Saturday 2/24. 1. 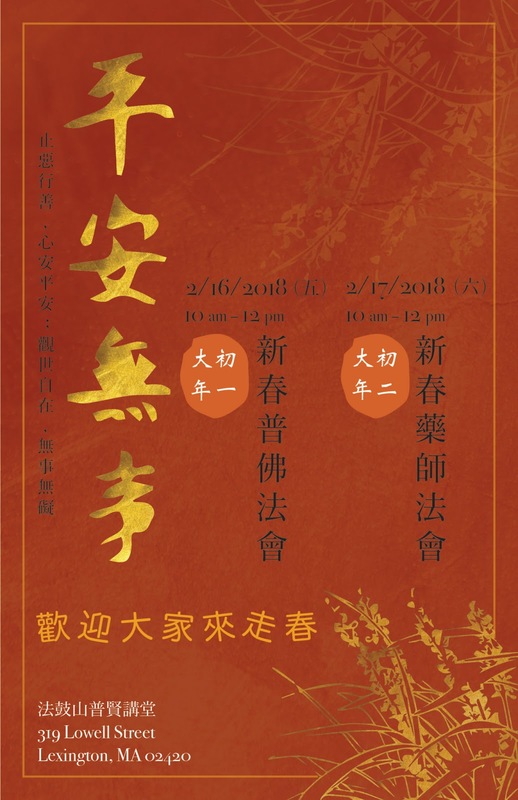 Master Chen's visit Sat-Sun 2/10-2/11 + Chinese New Year Potluck Sat 2/10, 5-8pm (See schedule below) We are delighted that Master Chen from Toronto is coming to celebrate Chinese New Year early with us! Please join us for his inspiring lectures as well as sharing the opportunity to be enlightened with family and friends! And of course come to the Chinese New Year potluck party to cultivate joy, warmth, peace and wisdom in this new year! Your RSVP and veggie dishes will be greatly appreciated. 2. Chinese New Year Semi-monthly Ceremony next Thu 2/15, 6:30-8pm. This is the spiritual ritual to welcome Chinese New Year! Please join us for the ancient sacred ceremony to clear our mind, strengthen our spirit, reflect our past year, chart the new year with our True Nature! Offerings to the ceremony are welcomed. 1. 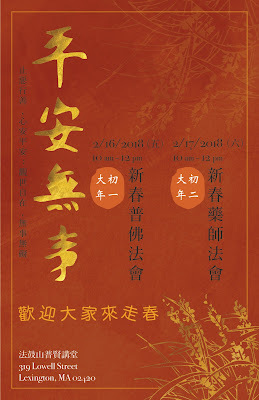 多倫多陳志宏經理2/10-2/11蒞臨辦道及傳題慈悲 + 春節前團圓聚餐 (活動詳細內容時間請見如上) 我們很高興陳經理來和我們一起提早慶祝農曆新年！請加入我們星期六日的道學課程 ("大學證釋導讀"+"孟子")，並和家人與朋友分享求道開智慧的難得機會！當然並歡迎道親及新朋友來新春佳節的聚會，在這個新的一年中感受並學習培養快樂，溫暖，和平，智慧！歡迎親朋好友帶素菜或甜點來分享. 感謝您回email通知您有多少人出席. 期待大家齊聚一堂! 2. 下星期四2/15是農曆正月初一的前一晚, 也就是除夕夜, 佛堂會於6:30-8pm進行辭歲拜年獻供禮. 歡迎各位前賢能回佛堂參學獻供禮節, 真誠禮敬仙佛慈悲, 接受佛光普照, 並從中回心內省往年疏失, 以自身佛性在新的一年規劃及實踐. 1. Semi-monthly ceremony this Tuesday 1/30, 6:30-7:30pm. All are welcome! This is a great opportunity to reflect and return to our True Nature when participating in the steps of the ceremony. The light of the three lamps is deeply healing and crucial to clarify the principles in our life. 2. Tao Study Course this Saturday 2/3, 4:30-6:30pm will be a lecture of "What's Tao Cultivation got to do with modern life? ", and the evening ceremony followed by vegetarian dinner. Look forward to your participation! We are delighted that Master Chen from Toronto is coming to celebrate Chinese New Year early with us! Please join us for his inspiring lectures on Sat and Sun as well as sharing the opportunity to be enlightened with family and friends! 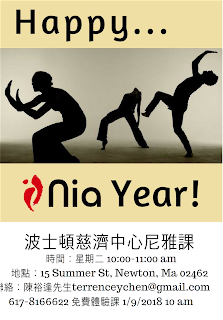 And of course come to the Chinese New Year potluck party to cultivate joy, warmth, peace and wisdom in this new year! Your RSVP will be greatly appreciated by replying this email. 1. 這星期二1/30, , 是農曆十二月十五的前一晚, 佛堂之獻供的時間是6:30-7:30pm. 歡迎各位前賢能撥空參與, 真誠禮敬仙佛慈悲, 接受佛光普照, 並從中回心內省, 以顯自身佛性. 30-6:30pm will be a lecture of "The Preciousness of Tao Cultivation", and the evening ceremony followed by vegetarian dinner. Look forward to your participation! Chinese New Year celebration! 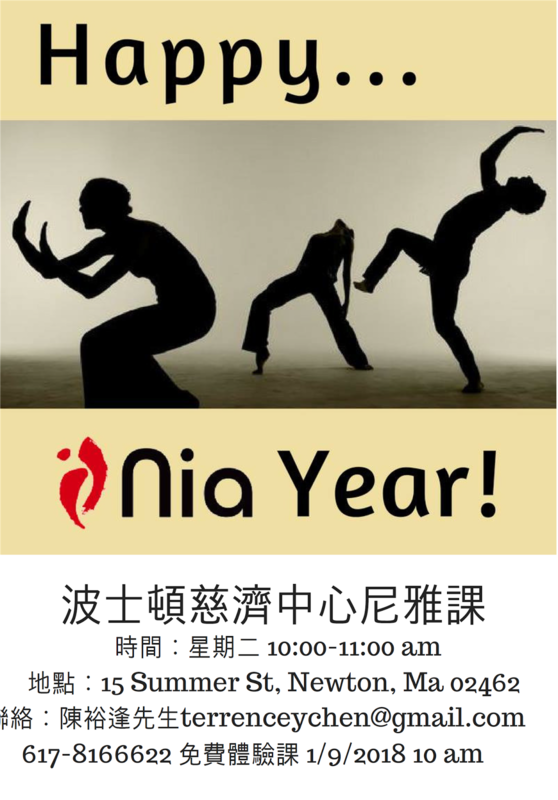 Sat 2/10, 5-8pm 春節前團圓聚餐! Come for the warmest gathering of the year! Inspiration, performance, food and fun will be the main activities of the evening. Feel free to bring friends and family to join us and some vegetarian dishes to share! Your RSVP will be greatly appreciated by replying this email. 星期六 2/10, 5-8pm 歡迎親朋好友帶素菜或甜點來分享. 感謝您回email通知您有多少人出席. 期待大家齊聚一堂! 1. Semi-monthly ceremony this Tuesday 1/16, 6:30-7:30pm. All are welcome! This is a great opportunity to reflect and return to our True Nature when participating in the steps of the ceremony. The light of the three lamps is deeply healing and crucial to clarify the principles in our life. 2. Tao Study Course this Saturday 1/20, 4:30-6:30pm will be a lecture of "The World of Da-Tong (Harmony), and the evening ceremony followed by vegetarian dinner. Look forward to your participation! 1. 這星期二1/16, , 是農曆十二月初一的前一晚, 佛堂之獻供的時間是6:30-7:30pm. 歡迎各位前賢能撥空參與, 真誠禮敬仙佛慈悲, 接受佛光普照, 並從中回心內省, 以顯自身佛性. 3. <活動預告> 春節前團圓聚餐! 星期六 2/10, 5-8pm 歡迎親朋好友帶素菜或甜點來分享. 感謝您回email通知您有多少人出席. 期待大家齊聚一堂! We will be hosting a lecture "Introduction of the field of Tao" this Saturday 1/13, 4:30-6:30pm. And all are welcome to join the evening ceremony and vegetarian dinner. Look forward to seeing you this Saturday! 如欲獲得更多資訊或報名, 煩請聯絡 Ming (mmiinngg@hotmail.com/617-223-7021). 期待能見到大家一同參與此天地人共辦之殊勝機緣!! Instead of having our regular Saturday gathering at the temple, we will be hosting an online meeting this Saturday 1/6, 5-6pm. Please follow the instruction below to participate. Please call or email Ming 617-223-7021/mmiinngg@hotmail.com if you have trouble getting through. See you at zoom.us this Saturday! Topic: Chong De Temple Zoom Meeting~"Renewed Heart in the new year"
Saturday 12/23, 4:30-8pm, Holiday Potluck Party! All friends and family, little or big kids are invited to celebrate the Re-Birth Day of our True Nature! Food, performance as well as soulful games will be shared! Your vegetarian dish is welcomed! Look forward to seeing you! We will have a talk on "How to be a HUMAN" from 4-5pm. All are welcome! This is a great opportunity to reconnect with our True Nature and living truly as a human's highest potential. Then we will have a December birthday party 5-6:30pm with all the children and adults. Fun activities and performance will be expected! 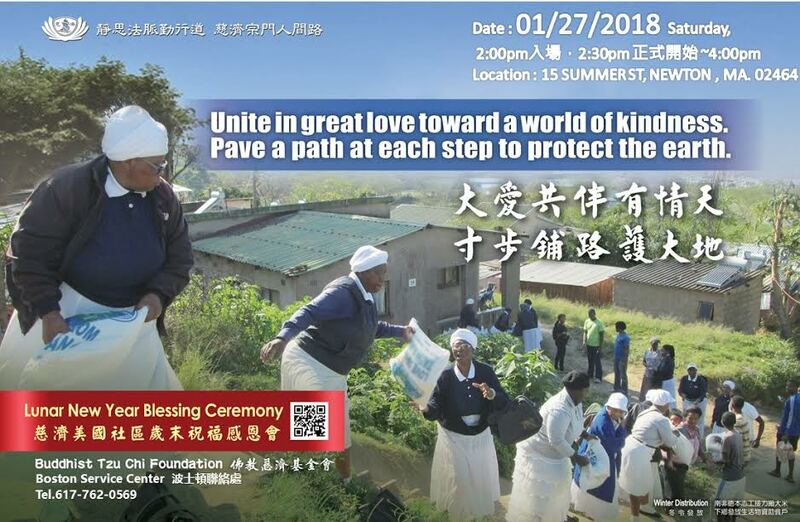 Please do join us for the wonderful celebration and followed by the evening ceremony and dinner. Look forward to seeing you! We will have the semi-monthly ceremony tomorrow, Friday 12/1 at 5:30pm. All are welcome! This is a great opportunity to reflect and return to our True Nature when participating in the steps of the ceremony. The light of the three lamps is deeply healing and crucial to clarify the principles in our life. We will have a group discussion this Saturday, 4-6pm, 12/2, on "Happy and Well-Rounded Life". All are welcome. We will then have the evening ceremony and dinner afterward. Look forward to seeing you! 這星期五12/1, , 是農曆十月十五的前一晚, 佛堂之獻供的時間是下午5:30. 歡迎各位前賢能撥空參與, 真誠禮敬仙佛慈悲, 接受佛光普照, 並從中回心內省, 以顯自身佛性. Saturday 12/16, 4-6pm, we will have a discussion on "Take Aliveness On". All are welcome! This is a gathering to reconnect with our True Nature through interacting and learning from one another and living truly as a human's highest potential. Evening ceremony and dinner are followed. Look forward to seeing you! Sunday 12/17, 5:30pm, we will have the semi-monthly ceremony. This is a great opportunity to reflect and return to our True Nature when participating in the steps of the ceremony. The light of the three lamps is deeply healing and crucial to clarify the principles in our life. We would love to have you join us! 這星期日12/17 , 是農曆十一月初一的前一晚, 佛堂之獻供的時間是下午5:30. 歡迎各位前賢能撥空參與, 真誠禮敬仙佛慈悲, 接受佛光普照, 並從中回心內省, 以顯自身佛性. We will have a group activity and discussion this Saturday, 4-6pm, 11/25, on "The Switch to Light Inside". All are welcome. We will then have the evening ceremony and dinner afterward. Look forward to seeing you! Please note that there is NO activity at Chong De Cultural and Educational Foundation this Saturday 11/18. And please save the date 11/23, next Thursday, for our Thanksgiving gathering. Details will come soon. 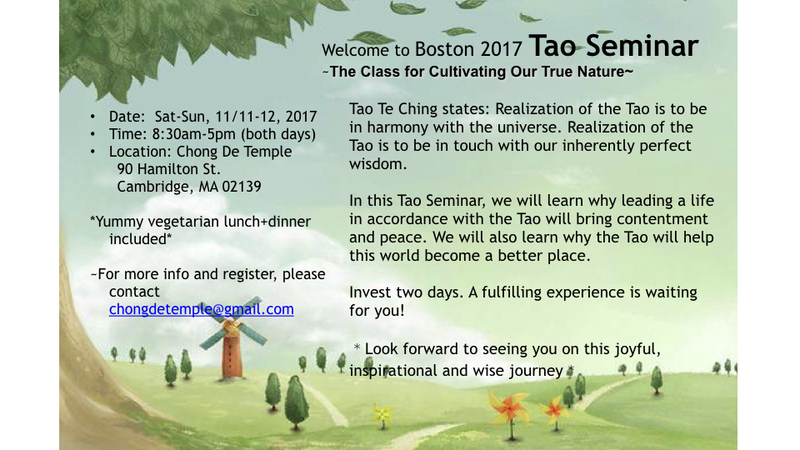 You are invited to the special, the sacred, once-in-a-life-time learning opportunity, Boston Tao Seminar this coming month, 11/11-12. Please see the bilingual flyer attached. We look forward to seeing you on this journey to cultivate our True Nature, to live a fulfilling life and to create peace and harmony on earth! Please reply this email or contact Ming (mmiinngg@hotmail.com) to register or ask any question. 如欲獲得更多資訊或報名, 煩請聯絡 Ming (mmiinngg@hotmail.com). 期待能見到大家一同參與此天地人共辦之殊勝機緣!! Tao Study Course this Saturday will be a lecture/discussion of "Filial Piety in the 21st Century" this Saturday 10/28, 5-6pm. Afterward, we will have the evening ceremony followed by vegetarian dinner. Look forward to your participation! NOTE: In Confucian philosophy, filial piety (Chinese: 孝, xiào) is a virtue of respect for one's parents, elders, and ancestors. 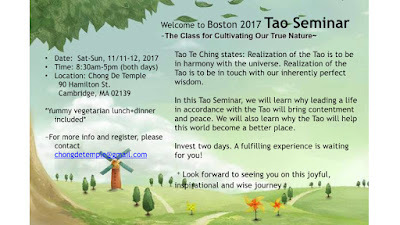 The special, the sacred, once-in-a-life-time learning opportunity, Boston Tao Seminar will take place next month, 11/11-12. Please see the bilingual flyer attached. We look forward to seeing you on this journey to cultivate our True Nature, to live a fulfilling life and to create peace and harmony on earth! 波士頓崇德文教基金會 Boston Chong De Cultural and Educational Temple Inc. This week's topic "Tao cultivation in action part 4". Please see the attached files as materials for tonight. We are honored and delighted to have Master Kuo and Lecturer Su coming to Boston this Saturday and Sunday(10/14-15). This is the rare opportunity to go through the Enlightening ceremony and learn from their precious experiences of long-term Tao cultivation. Please see the schedule below. We look forward to your presence and collective support! This week's topic "Bright Wisdom part I". Please see the attached materials for this week's class. 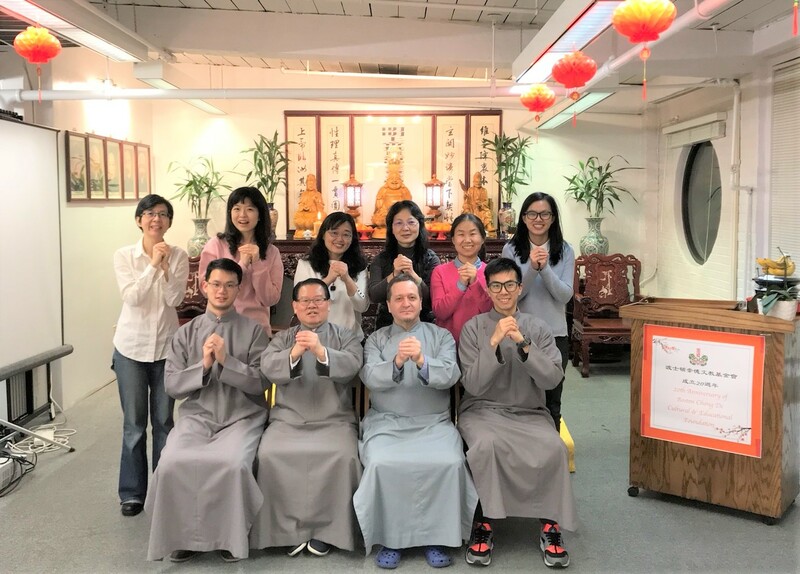 We are delighted to cerebrate Shi Zuen's Returning to Heaven's Seat and Mid-Autumn Festival this Saturday: 9/30, 3:30-7:30pm with moon cake making @ Heng De Temple (1778 Common Ave, Brighton, B line outbound to Chiswick Station) You do not want to miss this meaningful and joyful occasion! All are welcome. We truly appreciate if you can let us know how many of you are coming, so it helps us to prepare materials for moon cakes. THANKS A LOT! 如欲獲得更多資訊或告知參加人數, 煩請聯絡 Ming (617-223-7021). 期待能見到大家一同參與此天地人共辦之殊勝機緣!! This week's topic "The Home Letter from Holy Mother Part I". 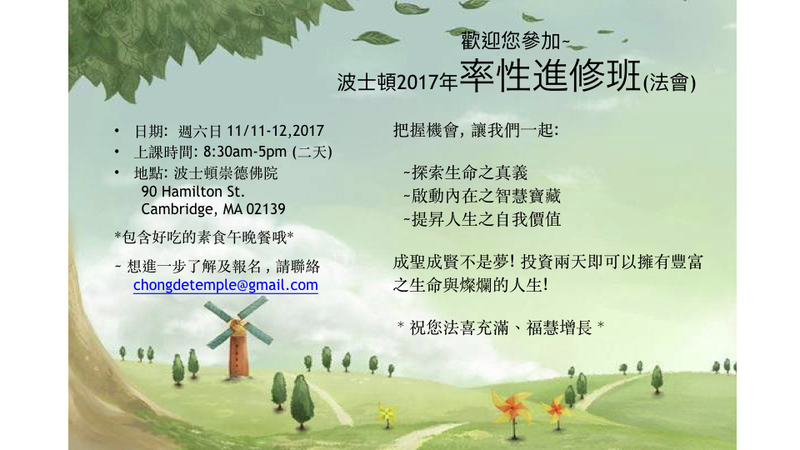 We are honored and delighted to have Master Chen and Lecturer Yio coming to Boston this Saturday and Sunday. This is the rare opportunity to go through the Enlightening ceremony and learn from their precious experiences of long-term Tao cultivation. Please see the schedule below. We look forward to your presence and collective support! Next Saturday: 9/30, 3:30-7:30pm 紀念師尊成道/慶祝中秋 Remembering Shi Zuen/Celebratnig Mid-Autumn Festival with moon cake making @ Heng De Temple (1778 Common Ave, Brighton) You do not want to miss this important and meaningful occasion! This week's topic "The Journey of Propagating Divine Life on Earth". Please see the attached flyer for details of this series. Tao Study Course this Saturday 9/16, 5-6pm will be a lecture of "The Preciousness of White Sun Cultivation and Path", and the evening ceremony followed by vegetarian dinner. Look forward to your participation! Tao receiving ceremony and advanced Tao study lecture next weekend 9/23-24. We are honored to have Master Chen and Lecturer Yio coming to Boston to support our cultivation of The True Nature! Details coming soon! Tao Study Course this Saturday 9/9, 5-6pm will be a lecture of "The World of Ta-Tong", and the evening ceremony followed by vegetarian dinner. Look forward to your participation! Series Flyer attached. If you are interested in participating in person, accessing online via zoom.us, or receiving audio recording afterward, please email chongdetemple@gmail.com and put "Tao Level II" on the subject line. Look forward to seeing all of you! We will have the semi-monthly ceremony Monday 9/4 at 5pm. All are welcome! This is a great opportunity to reflect and return to our True Nature when participating in the steps of the ceremony. The light of the three lamps is deeply healing and crucial to clarify the principles in our life. 這星期一9/4, , 是農曆七月十五的前一晚, 佛堂之獻供的時間是下午五點. 歡迎各位前賢能撥空參與, 真誠禮敬仙佛慈悲, 接受佛光普照, 並從中回心內省, 以顯自身佛性. Tao Study Course this Saturday 9/2, 5-6pm will be a lecture of "Be the Blue Ocean True Love Special Agent", and the evening ceremony followed by vegetarian dinner. Look forward to your participation! 2. Semi-monthly ceremony Monday 9/4, evening, exact time to be announced. All are welcome! This is a great opportunity to reflect and return to our True Nature when participating in the steps of the ceremony. The light of the three lamps is deeply healing and crucial to clarify the principles in our life. Series Topics will be announced soon! All are welcome! 2. 這星期一9/4, , 是農曆七月十五的前一晚, 佛堂之獻供的時間是傍晚. (確切時間儘速告知.) 歡迎各位前賢能撥空參與, 真誠禮敬仙佛慈悲, 接受佛光普照, 並從中回心內省, 以顯自身佛性. This week's topic "Class Closing/Congratulations, Divine Level I".